NOTE: Actual product packaging may differ from image shown due to packaging updates & improvements made by manufacturer. Resolve Pet Stain and Odor Carpet Cleaner lifts and removes tough ground-in dirt, messes, and odors left behind by pets. Its Odor Stop Technology eliminates pet odors, freshens with a light, clean scent, and discourages pet re-soiling. The formula works well on tough stains, offering stain removal the first time. Shake the bottle vigorously to break up product before dispensing for optimum area coverage and to maximize deep cleaning of carpet. Let wet soils dry before cleaning. Cleans up to an 8-by-10-foot localized area on all carpet types including stain-resistant ones, except special carpets like antique or oriental rugs. Allow longer drying time in humid weather, or on deep pile carpet. If powder does not vacuum up completely, let stand until carpet feels dry to touch, then re-vacuum. 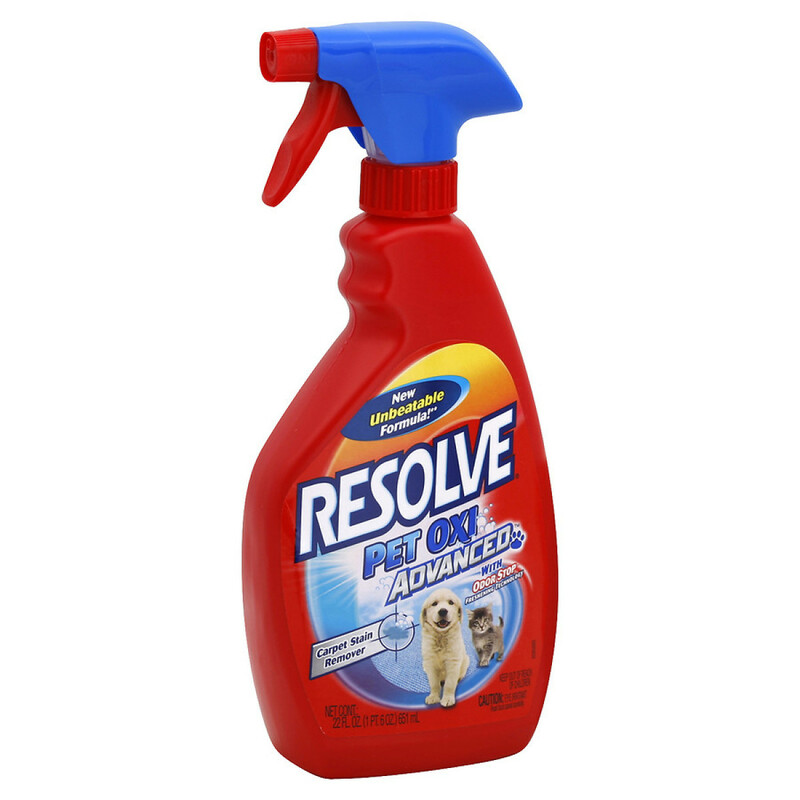 For stubborn pet stains, try Resolve Pet Stain Removers with ODOR STOP. Not recommended for use with any vacuum cleaner that has a water filter or water tank. Directions: Before cleaning, test a hidden section of carpet for colorfastness. Remove solid residue from carpet and blot up excess moisture with a clean, colorfast cloth or sponge. 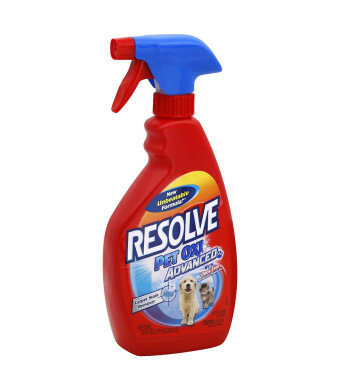 Spray soiled area with Resolve Pet Oxi Advanced carpet cleaner. Wait three minutes. Blot or rub gently with a clean, damp, colorfast cloth or sponge. Rinse sponge or cloth and repeat until carpet is clean. Blot any excess moisture from carpet with a clean, colorfast sponge or cloth. Keep children and pets from contact with sprayed area until dry.